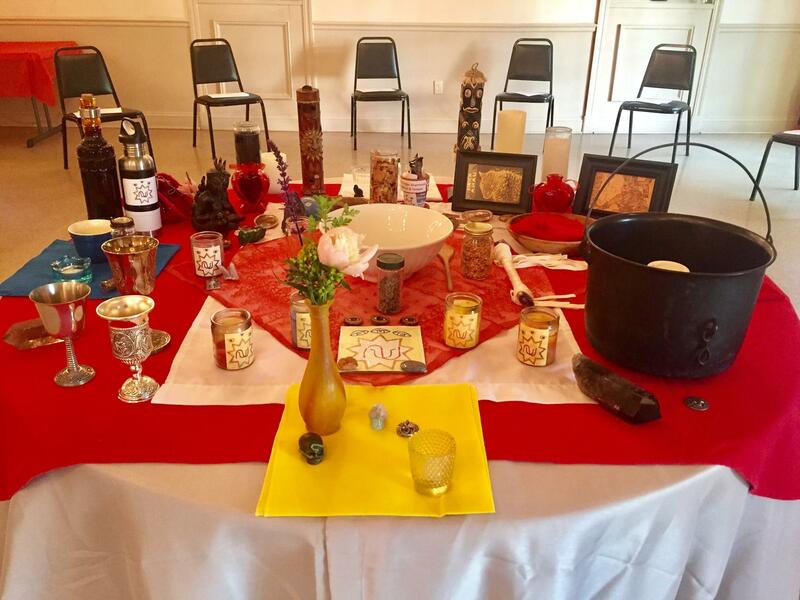 The Spirit’s Edge Shamonial Temple had its in-person Beltane Ritual and Salon on Sat., April 22, 2017. While this online version is a greatly pared down version of our in-person ritual, it is powerful in its own right and will connect you with the greater workings of our Temple. Thanks so much to everyone who attended our Beltane Ritual and who helped make it such a special celebration! We look forward to having our online friends join us now in Spirit! The photos are up on our Spirit’s Edge Shamonial Temple page Beltane album HERE and in our Spirit’s Edge: A Seeker’s Salon FB group page Beltane album HERE (just click and ask to join – all are welcome!). You may also check out the fun pictures from our Pre-Ritual Crafting Workshop – Paint Your Own Gourd Rattle – HERE and HERE, respectively. It was such an incredible and magickal evening of community and Spirit at our Temple’s Beltane Ritual! A powerful working with the Mayan Goddess Ix Chel and the Mayan God Kinnich Ahau, both Guardians of the Temple of the Twelve Signs on the Inner Planes and Guardians of our Spirit’s Edge Shamonial Temple & Tradition. Ix Chel is a Mayan Goddess of fertility, water, the moon, medicine, healing, sexuality, fertility, women’s reproductive system, protecting women in pregnancy and childbirth, weaving and magick. 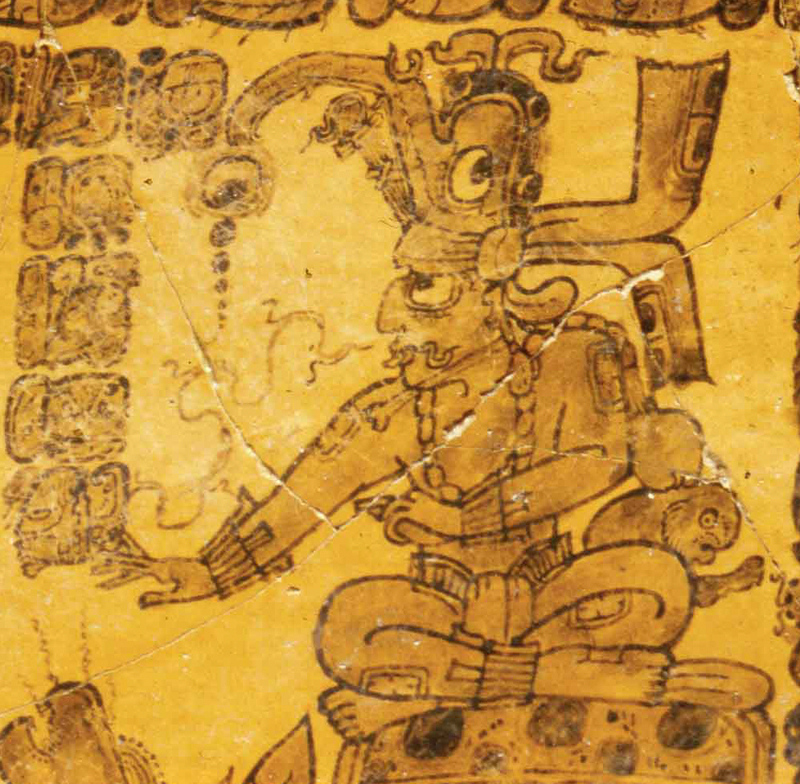 Kinnich Ahau is the Mayan Sun God. In one aspect, he is Lord of the Underworld as the Jaguar Lord, or Ahau-Kin. Ix Chel gave birth to four Jaguar Gods with Kinnich Ahau. They are the jaguar gods, the B’alams, named for the Four Directions. It is said that each one is responsible for holding up his corner of the earth. There was a lot of information shared by Temple High Priestess Shea Morgan in our in-person Salon discussion on Ix Chel, Kinnich Ahau, the Jaguar Gods and the Mayan Fire Ceremony. There is a wealth of information available online, but Shea would like to point you to a blog post that had a great rendition of Ix Chel & Kinnich Ahau’s mythos together and highly recommends you read it. Our Beltane Ritual was a ritual of love, joy, passion and zest for life! It was followed by a fun and festive time of fellowship and feasting! Our Temple’s Beltane Fire! For our Mayan Fire Ceremony … Beltane, Beltane, Beltane! See links to FB albums for video of the flames! The fire was fabulous and was quite present in the ritual. We have some amazing video of it as well in the photo albums, along with more photos of course. As we chanted “Beltane, Beltane, Beltane”, the flames kept getting higher! So appropriate for the idea of a Mayan fire ceremony! 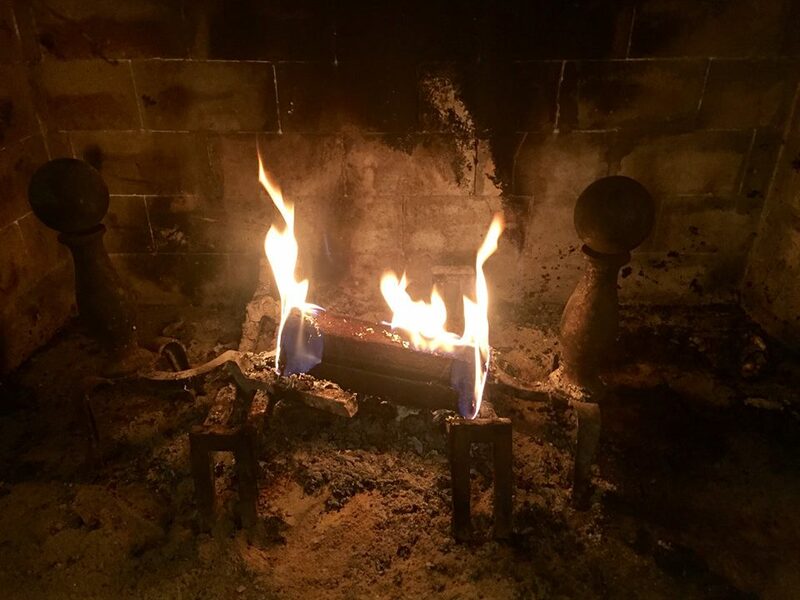 If you scry into the flames, you can see images – Jaguar, the God and Goddess, and more! Love and gratitude! Blessed be! You are welcome to perform your ritual at any time, and it will tie into the main working of our Temple’s Ritual. Beltane is traditionally celebrated on May 1st so performing your ritual anytime during the first few days of May would be fitting. Prepare your altar space with your images of Ix Chel and Kinich Ahau and your two candles. Then prepare yourself and your space according to your preference. You may cast a circle and call the quarters if you would like, but it is not necessary. 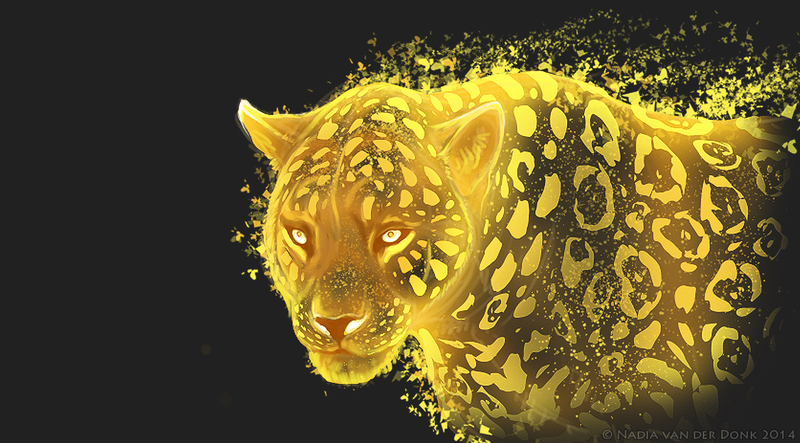 Now she comes, four Jaguars, defenders of night. Lend your magick to ours in this sacred rite. Oh virile and passionate God, we call on you tonight! Be with us, walk with us, commune with us. And adore the spirit of me, who am Queen of all witches. she in the dust of whose feet are the hosts of heaven and whose body encircles the universe. let thine innermost self be enfolded in the rapture of the infinite. Unless ye know the mystery. Then ye shall never find it without. You may wish to adapt the following if you are not working with herbs or working with different herbs. to lend their passion and delight to mine to grow, fuel, nourish and enflame my passions and joy in and for life. I seek my heart’s desire, my soul’s purpose. I tend that sacred flame and garden of passion. I light the flame and water the garden of passion within my heart. I stoke the flame of my soul. Next, sit in meditation and contemplation on your heart’s desire and soul’s purpose. When you feel ready, write your petition of the love and passions you seek to grow in your life. You are weaving a spell of love, bringing in and waking into your life, that which you seek, for the highest good, harming none. When you are finished, read your petition to yourself, three times, focus within yourself, draw on all of your passion within, united with the divine, to lend your Intent and make this Act of Power tonight with yourself. Then, roll your petition into a scroll and tie it with the ribbon. If you are working with herbs, spoon them into your charm bag and then add your petition scroll before tying it off. Then hold your charm in your receptive hand and using your projective hand, seal and charge your charm with intention. • What does this time of Beltane mean to you? At this time you may choose to speak words of love and gratitude to Ix Chel & Kinich Ahau. When you feel you are finished, thank the spirits for their presence in your space and wish them farewell. Then close your circle according to your own tradition. Place your charm/petition on your altar or in a special place where you’ll see it often and be reminded of your work. 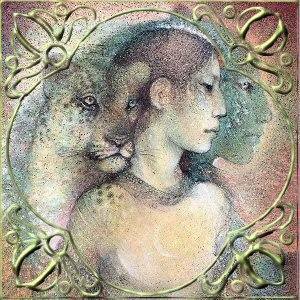 May blessings come to you and yours this Beltane! Beltane, Beltane, Beltane! Blessed be! Our Temple’s Beltane ritual was written by Temple High Priestess Shea Morgan unless noted otherwise, and all rights are reserved. It may be used for your personal/private use only. If you wish to use this or a variation for a group in the future, please contact Shea Morgan for the Spirit’s Edge Shamonial Temple at ravins52252@mypacks.net for permission; this ritual may not be published or used publicly elsewhere without prior written permission and attribution.